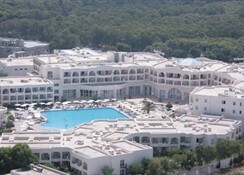 The turquoise bays of the Côtes de Carthage extend from the ruins of the ancient city as far as Gammarth, a luxurious new hotel zone that will soon be able to boast its own golf course and casino. 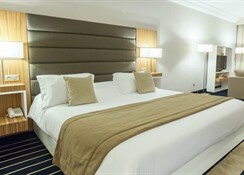 This beach spa hotel comprises double and triple rooms and suites with garden views. Facilities on offer to guests at this air-conditioned establishment include WLAN Internet access (charges apply) and a laundry service (charges apply). 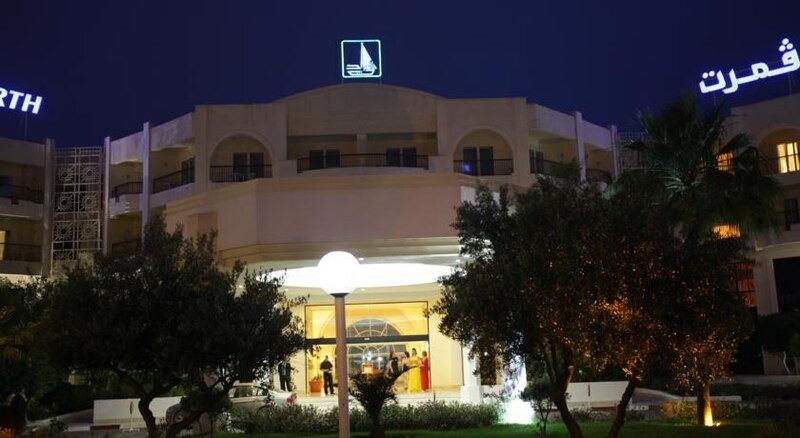 There is also a kids' club for children (5-12 years) and a discotheque. This hotel features outdoor and indoor pools, both with children's pools as well as a poolside bar and a private beach with sun loungers and parasols. A variety of leisure activities is on offer, such as tennis, archery, table tennis, billiards, petanque and darts as well as a range of water sports. 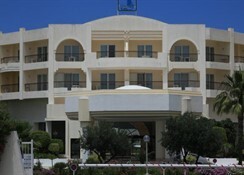 There are daytime and evening entertainment programmes available and guests can play mini golf. There is a gym (charges apply) with a hammam, a sauna (charges apply) and a thalassotherapy centre. This hotel is located just a couple of paces away from the elegant village of Sidi Bou Saïd, where visitors can stroll amongst houses with blue wooden balconies and bougainvillea. Tunis, a lively, modern capital with numerous places of interest, is just about 15 km away and it is 15 km to Tunis Airport. 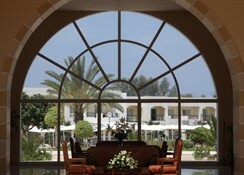 All rooms are air-conditioned and feature a terrace or balcony. They all come with a fully fitted bathroom, a direct dial telephone, satellite TV, a safe and a minibar. 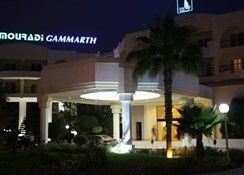 The nearest airport of the hotel is the Tunis carthage International Airport approximate driving time to Hotel Mouradi Gammarth is 20 minutes and distance is 15 kilometres, Taxis, cars are always available at the airport, tunis old town and Zitouna mosqué and Bardo Museum are 20Km away. The best way to see the surrounding countryside is to hire a car.